The great (and true) quote that “we shape our buildings and our buildings shape us” is credited to Winston Churchill. Other less insightful quotes are credited to him on the Internet as well, but this quote is really good because it is so true. As I shared in this post, leaders form their organizations by forming the values, mission, strategy, measures and leadership development approaches of those organizations. Today I want to offer five more things leaders can shape that in turn shape the organizations they lead. Here is part two of ten things leaders shape that in turn shape the organizations they lead. Because policies impact behavior, they impact how people in an organization relate to one another. By policies I do not mean the “rules’ in writing that no one takes seriously or have not been updated in years, but the standards that really matter (by the way, these should be the actual policies too). Leaders have the ability to set and shape these standards as they definitely shape the culture. Sometimes the policies conflict with the vision of the team, and when this occurs the policy must be changed as quickly as possible. A common example I noticed when I consulted churches was a church leader who would articulate a desire to develop future staff and hire from within the church, yet a policy that stated all staff must have a specific degree. The vision and the policy were at odds and the policy actually impacted the behavior, in most cases, more than the vision did. We shape our buildings, moments, structures, systems, and policies, and they in turn shape us. So shape wisely, leaders, shape wisely. 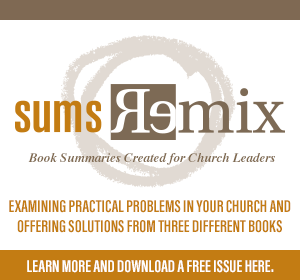 What Does “Healthy” Mean in Your Church Leadership? 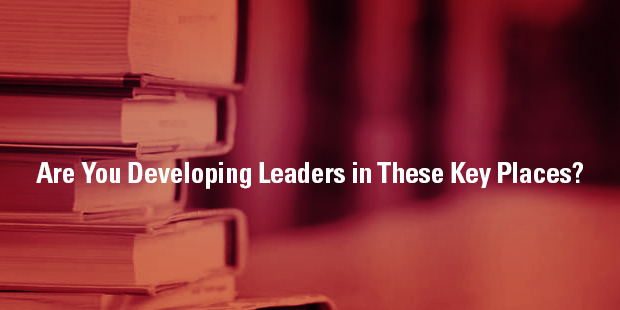 Are You Developing Leaders in These Key Places? Winston Churchill is credited with the insightful quote, “we shape our buildings and our buildings shape us.” He was correct; the buildings we gather in shape the culture of those in the buildings. The statement can be applied to other influences as our ministries and organizations are shaped by more than the buildings we utilize. Here are ten things that leaders shape that in turn shape the organizations those leaders lead. Values that are celebrated, championed, and reinforced shape the culture of a ministry or organization, and leaders set the tone and pace for how those values are emphasized. Unwise leaders arrive and declare a new set of values, as if they can speak a set of values into existence and immediately declare a culture out of nothing. Only the Lord can declare something out of nothing, but leaders can shape the values and shape how the values are operationalized. Values are about identity and “how we live around here,” and the mission is about what the ministry or organization does. Whenever a leader clarifies mission, the clarity shapes the activity of the ministry or organization. An unclear mission shapes the culture too, but in adverse ways. When the mission is not clear and not consistently heralded, confusion and conflicting goals abound. The strategy is how a ministry or organization works to accomplish the mission. Leaders shape the strategy; they lead the team to decide where time and resources are allocated. That strategy shapes how the ministry or organization serves people. It shapes how people’s time is utilized and where energy is invested. Leaders shape strategy and strategy shapes organizations. Leaders are partly responsible to decide what is measured, and what is measured as most important. What is evaluated and measured shapes the priorities and activity of a team in a ministry or organization. A scorecard impacts how people behave. If the wrong things are measured, the wrong behaviors are rewarded. If nothing is measured, then people invent their own priorities. If what is measured is closely connected to the mission, then the scorecard helps focus people on what is most important. Leaders are responsible to develop future leaders. 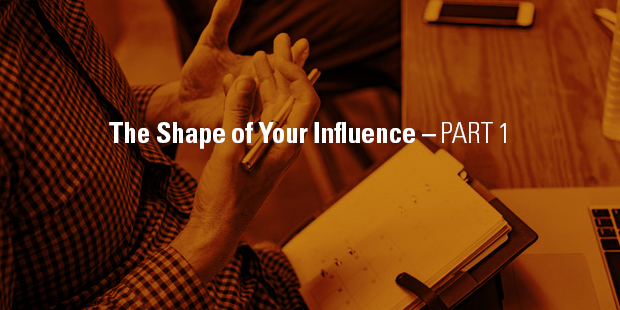 How leaders form future leaders greatly impacts the future of the ministry or organization. The values, skills, and beliefs that are poured into future leaders today will be poured out in the organization tomorrow. Leaders must care about the values, mission, strategy, measures, and approach to leadership development in the organizations they lead because the organization today and the organization tomorrow are formed by those things. As you read the list, are there 1-2 items that require more of your thinking and focus? Shape them well as they shape the team you are leading. 1. You can find your worth in the numbers. There are some leaders who find their worth in their weekly or daily dashboards. Ministry leaders are not immune to the temptation. In our sinfulness, a desire to reach people can become about the number and what that number says about our effectiveness. Having served in a rapidly growing environment, I learned the sinfulness in my own heart and needed God’s grace constantly to rescue me from finding my worth in a spreadsheet. 2. You can allow one metric to drive you. Leaders who wisely use data look at more than one metric, as it is possible to allow one metric to drive you and lead in ways that are not healthy for the whole. For example, in church ministry, if a leader is consumed only with the weekend attendance metric, investments will be heavily weighted toward the weekend and away from focus on leadership development, discipleship, and sending others. 3. You can miss the bigger picture. Some leaders analyze and analyze and miss the proverbial forest for the trees of data that consume them. By living in the data, they can fail to deliver overarching direction. 4. You can miss small data. With all the emphasis on big data (learning through looking at data in multiple ways), Martin Lindstrom released his book Small Data to emphasize the importance of observing real people and not simply looking at numbers. If you obsess over data, you can miss the stories of the real people that are more than just data. If you obsess over data, you can lose your heart for the people the data represents. 5. You live reactively instead of proactively. 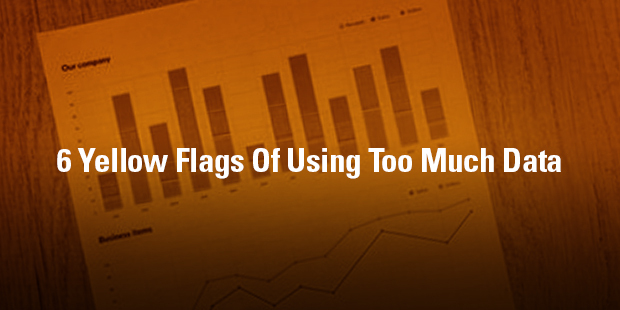 Those who obsess over data are likely to react continually to it instead of proactively charting a course and letting the data speak into the execution of that course. Those who obsess over data don’t lead with conviction but can allow the data to lead them in a myriad of different directions. 6. You can re-create what has already been created. In software development it has become common to release iterations, gather customer feedback, and adjust to that feedback. Some have pointed out that while the approach is valid, it results in creating what has already been created. If you are going to lead a team that meets a different need, data is important, but you have to look at data in light of your overarching mission. Look at data. Learn from data. But don’t find your worth in it, and don’t obsess over it. Have You Considered Going Mobile with Your Strategy? Every leader needs a compass in their head. The mission answers “Question Zero”: “What are we ultimately supposed to be doing?” It makes the overall direction of the church unquestionable and points everyone in that direction. The mission is a golden thread that weaves through every activity of the church. It brings greater meaning to the most menial functions of ministry. As you can imagine, the leadership team of a church is critical to the activation of the unique mission of the church. But as Dallas Willard says, “Familiarity can breed unfamiliarity.” Things that once stoked the fires of our heart can grow colder as we spend more and more time around it. In short…we just get used to it and the thing that made it once seem extraordinary, now seem ordinary. We all know that the mission of the church is inherently spiritual, but it’s easy to let the spiritual fire die down. If there’s anything that can engage us with this spiritual task, it’s connecting our heart to the heart of the Father for the mission. In the same way that Paul says that sometimes we don’t fully know how to pray but the “Spirit helps us in our weakness,” so too will praying as a team into the mission ignite the flame again. 2. Read stories from the Word of God. Find fresh stories in the Bible that connect to the specific calling of your church. Who are the main characters? Why do they connect on an emotional and visceral level? 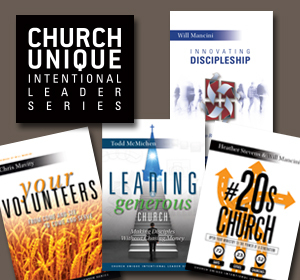 How do these stories connect to the essence of who God has shaped your church to be? Paul instructs Timothy to “guard the deposit entrusted to you.” In your church and in your leadership team, God has placed a very particular deposit through your spiritual gifts, redemption stories, “hand of God” experiences and leadership. Does your team know what those things are? Can they name them? Can they see how God has sovereignly brought those things together? 4. Identify five new stories. As leaders, we often times we use the same stories to point to what the mission looks like when it’s realized (we see this happen often in the Bible). Maybe it’s a miracle that happened or transformation in someone’s life early on in the life of the church and it because a kind of story passed down from person to person. But what about the here and now? Have each staff person identify five stories in the life of the church in the last 12 months that signify what the mission of the church is about. There are all sorts of reasons to fast, but growing the heart for mission in the spirit of your team is a great one. Whether it’s giving up food for 24 hours or social media for a week, set aside a dedicated amount of time for fasting (which includes you!) and each time they feel the desire for food or to check social media, pray that God’s mission would be accomplished in and through your church family. As leaders, it’s easy to assume that what’s clear to us and what lights the fire for the Gospel in our heart burns the exact same way. 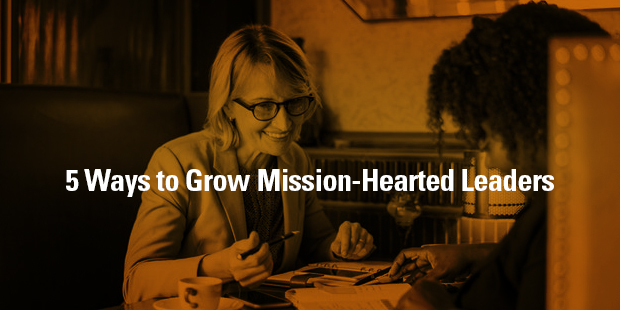 Whether you use these five ideas or have others of your own, I greatly encourage you to continue to recast the mission of your church into the hearts of your best leaders. If you would like some help with developing or clarifying your church’s mission, I highly recommend the team at Auxano. Over a period of a few months, a navigator can meet with your team to see great clarity in your mission. Is Your Mission Well-Lived and Well-Seen? What’s More Important: A Culture of Mission, A Culture of Discipleship, or a Culture of Leadership? Harvard professor Robert Putnam wrote Bowling Alone, which has been called a landmark book by many sociologists. Written nearly twenty years ago, it has proven to be prophetic. Putnam’s book was based on research about the deterioration of community in American culture. He researched lots of community organizations and networks but the title comes from what he saw with bowling leagues. While more people were bowling over the previous fifteen years, participation in bowling leagues was greatly decreasing over the same period of time. There were more bowlers but fewer people bowling together. Instead of bowling in community, people were bowling alone. Putnam warned that the move toward isolation would ultimately hurt people and communities. Putnam issued his warning before restaurant booths would be filled with people staring at their iPhones instead of enjoying conversations with each other and before binge-watching Netflix would become common in our culture. The move to isolation has gotten easier for us since Putnam first lamented the decline of community. Netflix makes it hard to stop watching. You are already opted-in to keep watching. You have five very fast seconds to opt-out. Social media engineers work on algorithms to keep us staring at our phones. Community is becoming more and more counter-cultural. What should a church do? If people can bowl alone, can they “church” alone? Do we embrace the cultural reality or do we push against it? We absolutely must push against the cultural reality of increasing isolationism and encourage believers to be in community. While ministry leaders are wise to use the tools of the day (technology) to spread the message of Christ, ministry leaders must hold tightly to the communal nature of the Church. The word for Church in the Scripture is from the Greek word Ekklesia, which literally means “the called out ones” and was defined in the cultural context as “a gathering.” Church is plural. It is not alone. Church is a gathering of the “called out ones.” Because of this a church must not make consumption the goal, but believers in community and on mission the goal. Come, let us shout joyfully to the Lord (v1). Let us enter his presence with thanksgiving (v2). Come, let us worship and bow down; let us kneel before the Lordour Maker (v6). Is Eric about to bash “church online?” Is that what this is about? No, I am all for using the tools of the day to place the message of Christ in the context of the culture and people are increasingly online so we must place the message there. Just as believers used the printing press, television, and radio, we should use the tools of the day to place the message where people are. The New Testament was written in Koine Greek, not classical Greek. It was placed “on the street” level of language and not above where people lived. But as we share the message, we must hold tightly to the communal nature of our faith, challenge people to be in community, and provide opportunities for them to do so. We must not equate isolated consumption with church. Where does leadership development happen? What environments are beneficial to leaders in their development? From a Christian perspective, leadership development is not constrained to one environment. Because the whole world is His, leadership development can happen in a plethora of places. Because He continually matures His people, God will use anything to conform us more to the image of His Son. Several leaders I know enjoy hiring former athletes because they are used to corrective feedback, the discipline of practice, and playing on a team. For many years, high school athletes were encouraged to focus on one sport, but coaches like Urban Meyer, head coach of the Ohio State Buckeyes, prefer to recruit athletes who play multiple sports. They like how the additional sports develop the athlete. Not only are multiple skills developed, but players also learn how to take on new challenges, to work with new teammates, and to fight through the difficulties that come from playing more than one sport. John Maxwell coined the phrase “leaders are readers,” and he is right. Reading widely can help leaders grow mentally through exposure to new disciplines and new ideas. Mentally stretching to understand a new discipline can help a leader find new solutions to existing problems. If the last book you read was one on a syllabus, you are not taking your development seriously. The relationship with professors, the community with other students, and the focused time committed to learn are the reason many leaders go back to school for advanced degrees and executive education. Much more important than the certificate or diploma is the learning that comes from a disciplined and systematic approach to development. Experience develops you more than any classroom or book can. The job is where you test the learning from the books and classrooms. The job is where you learn what needs to improve. Marriage is sanctifying. Parenting is sanctifying. Siblings are sanctifying. Roommates are sanctifying. The home can help develop leaders relationally. The home can help leaders grow in love, forgiveness, service, and placing the needs of others ahead of their own. Long before Robert Greenleaf’s seminal work Servant Leadership, which challenged leaders to view themselves as servants, the Church taught believers to serve others because our Savior-King has served us. Long before Jim Collins, in Good to Great, identified “level five leaders” as leaders who are filled with humility, the Church challenged believers to humbly view others as better than themselves. Long before Daniel Goleman, in Primal Leadership, identified emotionally intelligent leaders as ones filled with joy, peace, patience, and compassion, the apostle Paul challenged the Church to walk in the Spirit and display the fruit of the Spirit: love, joy, peace, patience, kindness, goodness, faithfulness, gentleness, and self-control. The Church excels at developing leaders because the Church lifts up Jesus—the One who gave Himself for our sin, the One who transforms our character, the One who empowers us to serve others. Much of what is called “leadership” eventually won’t matter. In the end, everything done apart from Him will be worth absolutely nothing. The Church helps leaders remain in Him, keep an eternal vantage point, and offer themselves to what really matters. Connect with an Auxano Navigator to learn more about developing leaders. We don’t even know how this year will end. “We are using this year as a starter for next year, and this year’s story is still being written” is not an unwise or untrue statement. My budget is irrelevant the first day. Because things are changing, this is true. Budgets are based on a forecast of the future, and financial forecasters even articulate that the first rule of forecasting is that they are wrong. So why in the world would one invest inordinate amounts of time in a budgeting process? 1. Start with mission and strategy. Jack Welch declared that strategy is merely resource allocation, meaning a budget is really a reflection of your strategy. It shows what you value and where you are putting emphasis and focus. Connect any strategic planning you do to your budgeting process. Disconnecting strategic planning from budget planning is not wise. 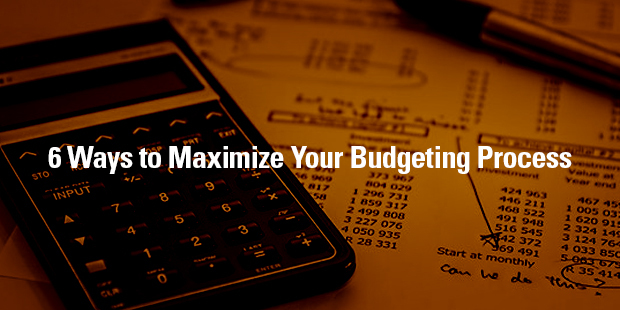 Make budgeting about strategy, not finances. 2. Identify the biggest opportunities for growth and impact. As you plan, look for the biggest opportunities for growth. Set goals in connection with those opportunities, and plan to finance the biggest opportunities generously. 3. Find waste and re-invest it. A common mistake in budgeting is to take what you are currently spending in a category and project that for the next year (called straight-lining). Basically, current expenses are copied and pasted as next year’s expenses. But there may be some unwise spending and waste within the category. If you straight-line, you may be straight-lining bad stewardship. 5. Use the time to learn and re-learn. I learn something new every budgeting cycle. Because people are focused on the type of questions that budgeting raises, the conversations are quick and helpful. Approach budgeting time as a time to learn and re-learn how resources are allocated in light of your strategy. 6. Form a contingency plan. For the last decade, I have used budgeting to form growth plans. But I have also learned to use that time, the time when everyone is looking deeply into the finances, to form a contingency plan. What will we do if we need to cut 10% from our budget? The plans can be high-level and even on just one page, but I would rather think about a challenging scenario before the chaos of the scenario hits. File the plan away and hopefully you will never need it. 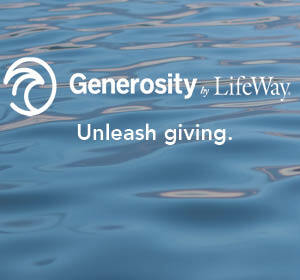 Connect with an Auxano Navigator to learn more about a Generosity Culture in your church. Whitefield showed up and preached. He did so well and faithfully. Wesley, though, was committed to more than just the event where he would proclaim the message. He worked hard on developing a process that moved people to “societies” where they would be shepherded in smaller groups. Wesley thought strategically and built a process that became known as Methodism. One of the things that fascinates me about the rise of Methodism is the role played by John Wesley, the movement’s founder and the one responsible for its extraordinary spread. His travel schedule was phenomenal: he basically spent forty years on a horse, going around and infecting people with the idea of Methodism and then — importantly — creating small groups that kept the infection alive. Wesley’s ability to spend day after day on a horse is central to understanding the spread of Methodism in the nineteenth century. And that in turn is an example of the larger idea that you need to have someone who has some exceptional connecting ability at the center of any epidemic. 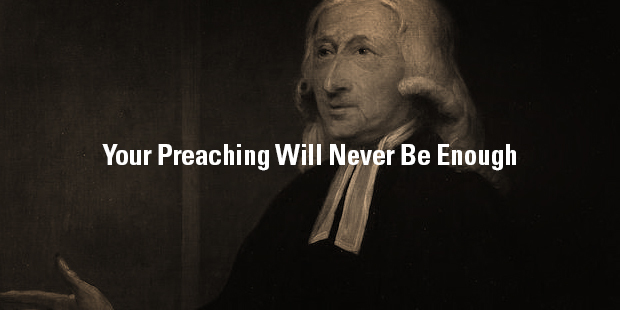 If you preach like Whitefield, consider thinking like Wesley. The more you think like Wesley, the more likely the ministry can spread and endure. What does it mean to think like Wesley? Instead of only thinking about the gathering, John Wesley thought about what people in the gathering would do next, what they would be invited to, and how they would be mobilized to something outside of the gathering. Some questions to consider: When a bunch of people are in one of our gatherings, what do we hope and pray for them next? Are we making what is next clear for them? 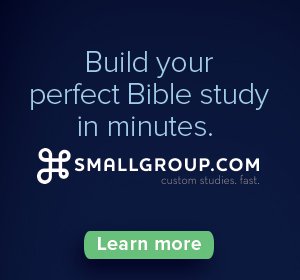 Long before people coined the phrase, “life change best happens in smaller groups,” John Wesley was building a network of them fueled by that very conviction. He knew that people are much more likely to be known when they are in smaller groups. While getting on a horse and traveling to connect with leaders may have seemed like a waste of time to some, Wesley knew that movements don’t spread without leaders. And he was committed to developing leaders. 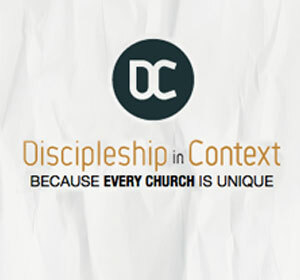 When spiritual leaders are developed, discipleship is multiplied. This type of thinking is so counter-intuitive. Most people think about the current moment, the larger environment, and the number of followers. Instead think about the next step, the smaller group, and the number of leaders. 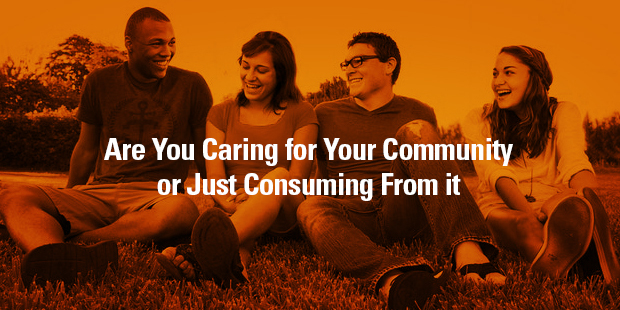 Are You Caring for Your Community or Just Consuming From It? In the summer of 2010, Kaye and I were on vacation in New York City and we attended services at Redeemer Presbyterian church. Before the sermon, a young man stood in front of the congregation and prayed to the Lord on behalf of the whole congregation. He prayed specifically for the city they lived in and he prayed that the Lord would help the church not to “use the city” but to “serve the city,” that they would be a people who would “contribute to the city” and not only “consume from the city.” The language revealed the heart of the church and it was challenging to me. As tourists, we were there in NYC to consume from NYC. We were there to watch plays, eat from great restaurants, and enjoy adventures NYC offers. It was our vacation and not our home, so our consumption was the point of the trip, but the prayer increased my conviction for how I should live in the community the Lord has placed me. Here are three thoughts on caring for your community and not merely consuming from it. 1. Our posture should be one of caring and not consumption. The Lord has determined the time and place where we live (Acts 17:26). Of all the times we could be living and all the places of the world we could live, the Lord has placed us right where we are. We are to represent Him as ambassadors of His Kingdom (II Corinthians 5:20) and we are to be salt and light where we live (Matthew 5:13-16). Salt both preserves and adds flavor. Rather than merely consuming from our community, we are to contribute to our community. We are to preserve it and add flavor to it – make it better. Christians should make their workplaces better not worse, their neighborhoods better not worse, and their cities better not worse. As believers in Christ, we must care for our communities not merely consume the good things from them. 2. Caring, not consuming, is what causes us to love where we live. Living as a tourist in your own community causes you to love what your community offers and not your community itself. When you serve where you live, your heart for where you live will expand. You will find yourself praying for your community more, enjoying your community more, and filled with a greater love for the people around you. 3. Caring for a community does include consuming from it. 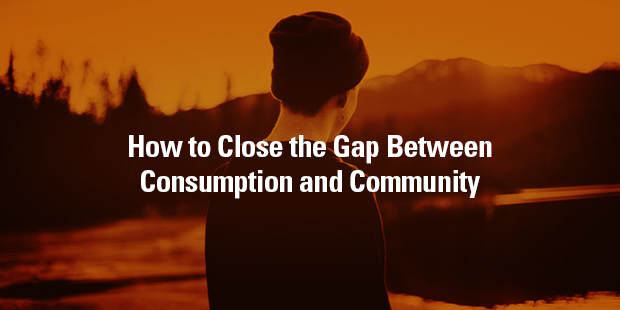 The above is not to say we should not consume from our community. In fact, one way we care for our community is to consume from it. Practically speaking, consuming from my community supports the businesses and the leaders in my community. Consuming from my community also helps me and my family enjoy our community, know our community, and speak in relevant way to our community. You can’t learn the language of your community if you don’t consume from it. If you import all your consumption from outside your community via your Prime account, you will miss opportunities to see the beauty of your local community. Enjoying local activities, food, arts, and sports helps you connect with your community. Enjoy the good of your community with an eye on caring for your community. Consuming from your community should be done with a view of caring for the community where the Lord has placed you. Are We Really “Churching” As Jesus Described It? A team that trusts one another is a team that moves quickly. That is the premise of the book, Speed of Trust by Stephen Covey, which builds the case that trust is one thing that changes everything for a team. The inverse is also true; a lack of trust and a lack of clarity slow down a team. There is such a thing as necessary pre-meeting meetings, when those presenting are reviewing what is going to be presented. But there are also unnecessary and unhealthy meetings before the meeting, where people work hard to manipulate a conversation instead of having an open conversation as a team. Leaders must work to create an environment where team members discuss openly and honestly together, both to build trust and be more effective with time. 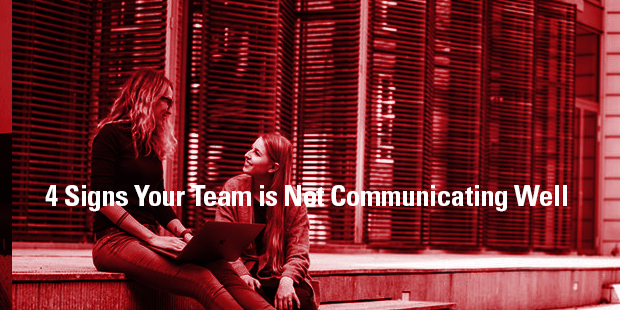 When a team does not trust each other, people spend more time discussing an email the leader or a team member sends than reading the email and believing the contents in it. When a team trusts each other, people trust what is being said and the intention beneath what is being said. Particularly in ministry settings, leaders can struggle to tell people the truth when it is truth that could result in hurt feelings. After all, ministry settings are supposed to be where grace and compassion flourish. But truth is not opposed to grace. In fact, failing to tell the truth about poor performance or poor attitude is ungracious because it keeps people in a place where they can’t grow and change. Trust builds speed and a lack of trust slows everything down. This is often most pronounced by the volume of side conversations. Side conversations that people have because they don’t trust the team or because they are seeking to build alliances for the play they are going to make. Imagine if all that energy and time was reallocated towards the actual work. When wise leaders see these on their teams, they don’t ignore them. Instead they work to build healthy communication with their team. Is Your Church Website Mobile Friendly?